Lately my working hours have gone from nine to five to 8.30 'til whenever. So when I get home I need quick meals that take no longer that twenty minutes to put together allowing me optimum 'flop on sofa' time. This recipe from the Londoner's blog is a lifesaver. 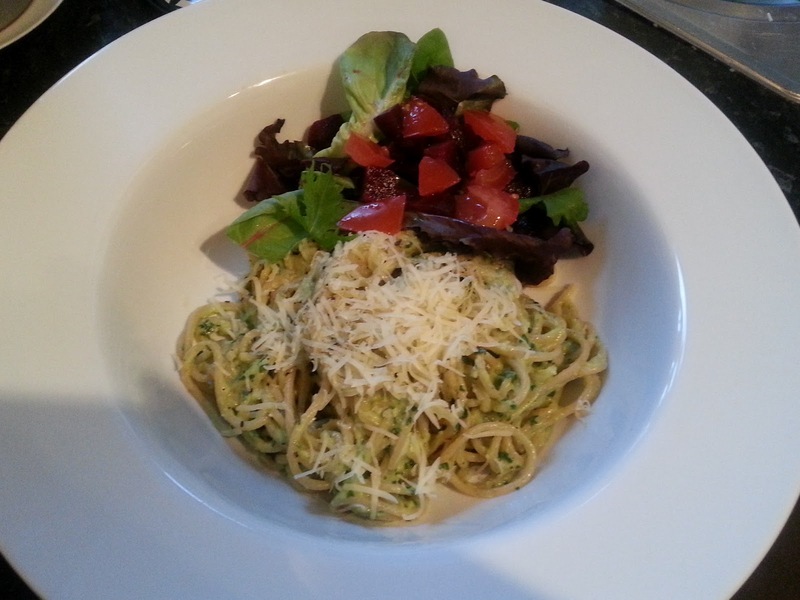 Simply whip up the avocado sauce while the spaghetti boils, drain and serve with a grating of parmesan. You can find the recipe here. It's an amazing base for a meal, and you could easily add what you liked to make it more to your taste or use up any bits you have in the fridge. I had mine with beetroot salad, which really complemented the other flavours. I also imagine it would go quite well with some leftover chicken or prawns tossed in the sauce or given a spicy kick with some chilli. Enjoy!